There’s STILL time to find a great gift for those hard-to-gift-people on your list. Remember – size does not matter, substance does, and books are the perfect fit for anyone. You don’t even have to ship them because you can simply gift them to an iPad. Merry Christmas, Happy Kwanza, and a Joyous New Year to all. We truly look forward to sharing more recommendations in 2014. We wish you a great year’s end full of good books and fun with friends and family. 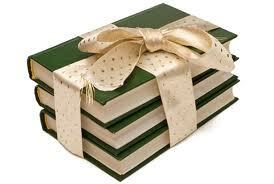 Thank you for being a part of The Book Jam in 2013 – 2014 promises to be a year full of fabulous paragraphs and plots.